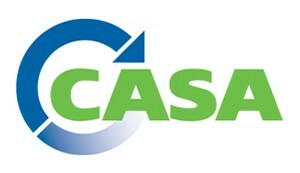 Do you know a Wastewater Agency that is not a CASA member? Our 2019 membership recruitment campaign is designed to broaden our representation of local wastewater agencies of all sizes and from all regions around California. Our members are our most valuable advocates. You can help us demonstrate our unique ability to connect California’s clean water agencies through advocacy, leadership, education and partnerships. If you know an agency that might be interested in joining CASA, please consider sharing this video which features CASA values and benefits. Additionally, our membership brochure, further highlights CASA and it services. We appreciate all that you do to make CASA the leading organization dedicated to protecting public health and the environment. 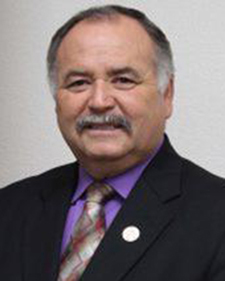 David Cardenas, president of the Selma Kingsburg Fowler Sanitation District Board of Directors, has joined our board. Director Cardenas was appointed to the seat left vacant by the resignation of Tim Becker. In addition to his district role, he serves as mayor of the City of Fowler. Director Cardenas has been active member of CASA for many years. At its January meeting, the CASA board also elected Novato Sanitary District Board member Bill Long to serve as vice president. Vice president Long joins fellow officers Traci Minamide, president, and Jason Dow, secretary/treasurer. The nominating committee, chaired by past president Paul Bushee, will convene in the early spring to consider candidates for the August 2019 ballot. The committee will be recommending candidates for four of the 12 elected seats. If you know someone who would be a valuable board member, please send a brief email to nominations@casaweb.org with their name, agency and a few sentences about his or her qualifications. Please send your recommendation by March 22.